Tools for Caregivers | Albany Elder Law Lawyers Burke & Casserly, P.C. 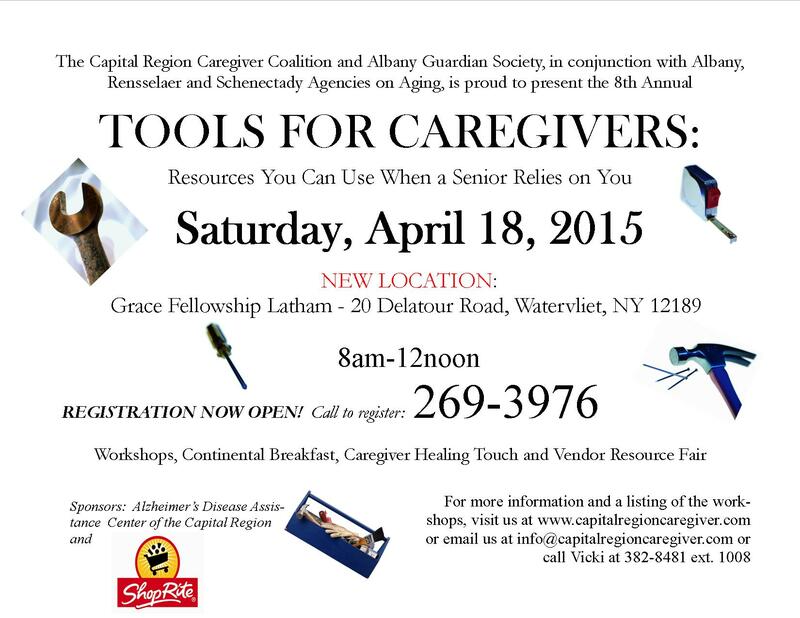 "Tools for Caregivers" was held this year at Grace Fellowship in Latham, NY on Saturday, April 18th 8:00am - 12:00 pm. "Tools" consisted of workshops for caregivers, a continental breakfast, caregiving healing touch and a vendor resource fair. B&C hosted a vendor table and JulieAnn was an inspirational opening presenter to all who attended but especially to all of the caregivers.